Check the calibration of your pipettes regularly, depending on the frequency of use and on the application, it is recommended at least once a year. If used daily, a three-month interval is recommended. At Thermo Fisher Scientific we know that selecting the right pipette calibration service is important for the success and efficiency of your laboratory so we have tailored our service offering to meet your needs. From NATA accredited calibrations to detailed repairs, our trained and certified engineers deliver the highest level of service in the best possible turn around to ensure that you labs don’t miss a beat. Before calibrating your pipette, please read the instructions below. See also information about autoclaving, maintenance, and service requests. Imagine the peace of mind that comes from knowing that all your valuable samples are being dispensed reliably every time you pick up your pipette. 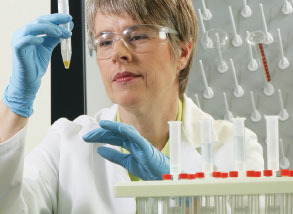 At Thermo Fisher Scientific we know that selecting the right pipette calibration service is important for the success and efficiency of your laboratory. We also know that each lab can vary considerably and that’s why we have tailored our pipette service centre to meet your diverse needs.